It's October, the month of beautiful autumn weather, and—at least here in America—the month of embarrassingly-abundant processed sugar. With trick-or-treat and all that, we at Poetry Matters say Skip the caramel apples, candy corn, and tootsie rolls! Give us a good book instead! 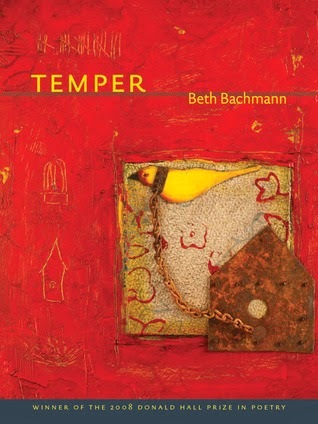 So for our post this month we've got some poetry goodies for you: Nancy shares a couple of books and journals that she's currently reading, including Ultima Thule, one of her favorite poetry collections, and Temper, the debut book of Beth Bachmann. And after that, Karen delights us with a mini-review of Iris A. 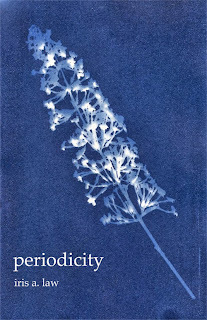 Law's poetry chapbook, Periodicity. We invite you to take a longer look at these fine books. 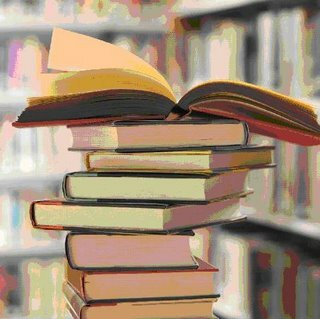 And as usual friends, please share with us what you're reading. We're always looking for good books. Probably like most of you, at any given time I've got several books going, not just one. And usually one of those books is a favorite that I am re-reading. 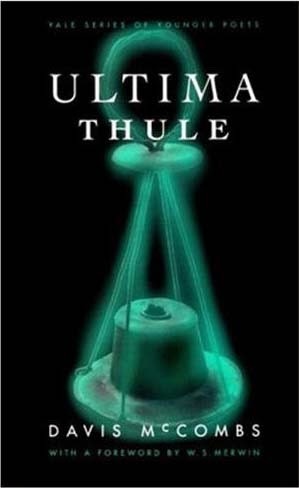 The favorite for this month is Ultima Thule (Yale University Press, 2000) by Davis McCombs. Ultima Thule was selected by M. S. Merwin for the 1999 Yale Younger Poet’s Prize. McCombs, who grew up in south-central Kentucky (an area known for its caves), served as a park ranger at Mammoth Cave National Park. The book was written, in part at least, while McCombs worked at Mammoth Cave; the poems center around caves in general, and Mammoth Cave in particular. I've read Ultima Thule several times now, and each time I continue to be fascinated by it, so much so that I've written the entire second and third sections out by long-hand, using a fountain-pen and fine-lined yellow paper, lingering over each poem. If you haven't read this book yet, you're in for a treat. As for literary journals, here’s what’s piled on my nightstand: Caketrain issue 10, Reed Vol 66, Mid-American Review Vol 33.2, Crab Orchard Review Vol 18.2, and the beautiful, beautiful Briar Cliff Review Vol 25. I love the look and feel of Briar Cliff Review! Here’s a link to the opening poem to that journal, “Break of Day,” by Beatrice Lazarus, winner of the their recent Poetry Prize. I met Iris Law at a "poet's lunch" during The Kentucky Women Writers Conference in Lexington, Kentucky, and later noticed her chapbook for sale. I was drawn to the cover art by Killeen Hanson, an incandescent blue-white flower sprig against a dark background, and the title whose meaning I wasn't sure of, as well as blurbs on the back of the book that mentioned women scientists. When I glanced at the book's center poem, "Blue," I was irretrievably hooked. 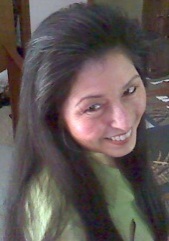 Iris A. Law, a Kundiman Fellow, is editor of the online Asian American poetry journal Lantern Review. She received a B.A. in English from Stanford University and an M.F.A. in Creative Writing from the University of Notre Dame. 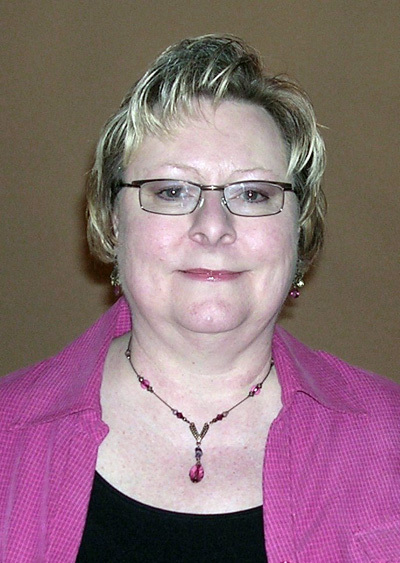 Her work has appeared in such journals as Lumina, Phoebe, qarrtsiluni, Boxcar Poetry Review, Drunken Boat, The Collagist, and she was nominated for a Pushcart Prize in 2011. She lives in Lexington, Kentucky. 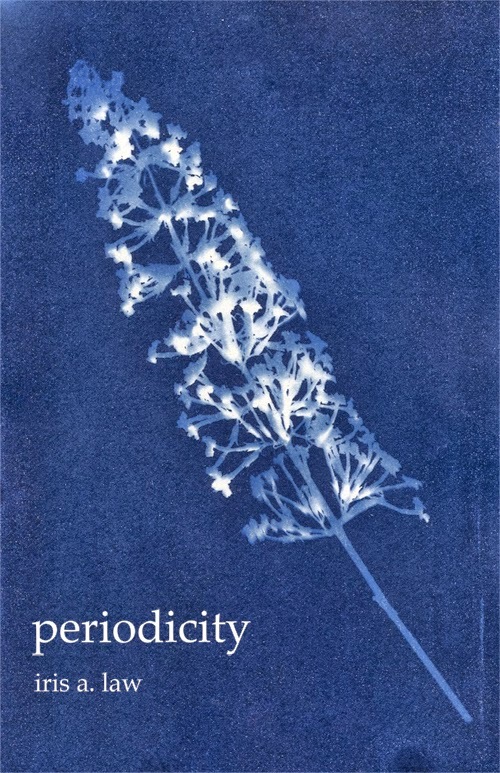 Periodicity (Finishing Line Press, 2013), Law's debut chapbook, celebrates women from various times and countries connected to the world of science. Thirteen of the eighteen poems are persona poems, written from the first person point-of-view of women such as: British botanist/illustrator/author Beatrix Potter, British biophysicist/X-ray crystallographer Rosalind Franklin, French-Polish physicist/chemist Marie Curie, American marine biologist/conservationist Rachel Carson, and Faith Sai So Leong, the first Chinese American dentist. Law uses various forms such as the tercet in the voice of astronomer Maria Mitchell, and a cento, "Botanical Variations," composed of passages from the 18th century botanist Jane Colden's work, Botanical Manuscript which describes such plants as "S'alomons Seal," "E'nchanter's Nightshade," and "Lady's S'lipper." Many of the poems explore familial relationships such as between father and daughter in "Ada" about mathematician/writer Ada Lovelace and her father, poet Lord Byron, and in "Anna Atkins" where Atkins, botanist/photographer, mourns the death of her father who was also a scientist; between wife Emma Darwin and husband Charles Darwin in "Finchsong" and Marie and husband Pierre in "Horse and Cart;" and between mother, daughter and sister in the poems centered around the Curie family, "Periodicity" and "The Girl with Radium Eyes." slide liquidly into the diamond-speckled dark. Law's use of "we," repeated throughout the poem includes not only Chien-Shiung Wu, but herself, the other women in her book, and all women, creating a feeling of intimacy and respect, as if the poet is directly speaking to the reader. Many of the Law's poems contain this close sense of connection to the reader, as in the first lines of the opening poem, "Field Notes, Lichen Morphology," where it feels like Beatrix Potter is whispering: " "Listen: / that // rasp. The fall/ of fractured // trees / predates // the quiet lying // down, the waiting". Law's use of repeated vowel and consonant sounds in these lines is mirrored throughout the poems; they resonate with rhythm, as they do with radiant images of the natural world, as in the poem, "Blue," describing Anna Atkins cyanotype prints of algae: "Lucid shadows, layered / on blue ground: a reverse / china pattern. Cystoseira / blisters, bifurcates to / deeper marine. Part wisp." In Periodicity each poem is like a radiant jewel (sapphire, emerald), or an element essential to life (oxygen, hydrogen) that are linked by each woman's particular voice that reaches us through Iris Law's luminous voice. These unforgettable poems pulse with a sense of awe and longing, an invitation to pay attention, to explore, document, and revel in the wonders of the natural world in which we live. If you'd like to read more of Iris Law's work, visit her website at http://www.irisalaw.com/index.html.